← NACCHO Rural Health News Alert : What are the priorities for new Assistant Minister for Rural Health Dr David Gillespie ? The Medicare Benefits Schedule (MBS) Review Taskforce is considering how services can be aligned with contemporary clinical evidence and practice and improve health outcomes for patients. 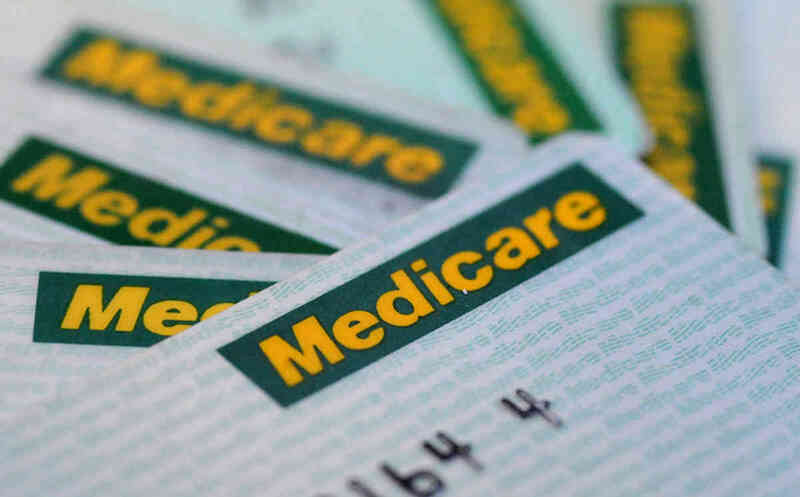 On 22 April 2015, the Minister of Health and Sport Sussan Ley announced a programme of work to deliver a Healthier Medicare and announced that a Medicare Benefits Schedule (MBS) Review Taskforce would be established. The taskforce is considering how the more than 5,700 items on the MBS can be aligned with contemporary clinical evidence and practice and improve health outcomes for patients. The review is clinician-led and there are no targets for savings attached to the review. The taskforce recommendations will be made to the Minister. Would you like to provide input to the review? You do not have to wait to be invited to make a submission on a particular issue. Make a submission at any time to the Review by email to the MBS Review team. To nominate yourself or someone else to a clinical committee, please email the MBS Review team and provide the following information: name, position/title, organisation, email, and clinical interest/expertise. Nominees should be committed to interpreting evidence/research and being productive team members, and have current knowledge of practice in their clinical discipline, and preferably contemporary experience of the MBS. You do not have to wait for the announcement of the establishment of a clinical committee or to be invited to submit nominations. Submit a nomination at any time to the Review by email to the MBS Review team. Medicare is Australia’s universal health scheme. It is a Commonwealth government program that guarantees all citizens (and some overseas visitors) have access to a wide range of health services at little or no cost. What is the MBS Review Taskforce? The government has established a Medicare Review Taskforce to review all of the 5700 Medicare items to ensure they are aligned with contemporary clinical evidence and practice and improve health outcomes for patients. The Goals of the Taskforce are over the page. What is a Clinical Committee? Clinical Committees are established by the Taskforce to review allocated parts of the MBS. Members are appointed in their individual capacity, not as representatives of their professional or other organisations. Committees will typically include medical specialists from relevant discipline groups, other clinicians (including those in related disciplines and generalists), experts in evidence evaluation, and consumer representatives. The membership structure is intended to ensure that a broad range of skills and perspectives are considered including specific content knowledge, wider content and practice knowledge and expertise in evidence appraisal. What is a clinical committee consumer representative? Consumer representatives are not expected to have clinical expertise: they bring an essential community perspective to committee deliberations, and do so in accordance with the evidence regarding the imperative for co-design in health policy and research. Consumer representatives are appointed as individuals, not representatives of their professional group or other organisations. Participating in committee meetings and deliberations to identify where changes are required to MBS items. Providing consumer perspective and engage in the committee’s decision-making and formation of recommendations to the Taskforce. Providing input into the clinical committee reports to ensure they are in plain English and reflect the consumers’ perspective on the services funded under the MBS. These views will be included in final reports to the MBS Review Taskforce and recommendations to the Health Minister. Evaluating MBS items in the scope of the clinical committee, including the findings from working groups and articulate consumer perspectives via the clinical committee to the Taskforce. Be involved throughout the duration of the clinical committee – approximately 4 – 5 months. Participate in a face to face induction meeting. Participate in two face to face meetings of 4-8 hours at the beginning and end of the committee process. Participate in four to five teleconferences – approximately two to three hours per teleconference (once a month) over the period of the Clinical Committee. Undertake to read the agenda papers and research reports to understand the committee’s deliberations. Be paid sitting fees for the time you spend attending clinical committee as per Specified Professional Committees in Table 4 of Determination 2015/20 and as determined by the Remuneration Tribunal. Affordable and universal access—The evidence demonstrates that the MBS supports very good access to primary care services for most Australians, particularly in urban Australia. However, despite increases in the specialist workforce over the last decade, access to many specialist services remains problematic with some rural patients being particularly under-serviced. Best practice health services—One of the core objectives of the Review is to modernise the MBS, ensuring that individual items and their descriptors are consistent with contemporary best practice and the evidence base where possible. Although the Medical Services Advisory Committee (MSAC) plays a crucial role in thoroughly evaluating new services, the vast majority of existing MBS items pre-date this process and have never been reviewed. Value for the individual patient—Another core objective of the Review is to have a MBS that supports the delivery of services that are appropriate to the patient’s needs, provide real clinical value and do not expose the patient to unnecessary risk or expense. Value for the health system—Achieving the above elements of the vision will go a long way to achieving improved value for the health system overall. Reducing the volume of services that provide little or no clinical benefit will enable resources to be redirected to new and existing services that have proven benefit and are underused, particularly for patients who cannot readily access those services currently. Broadly, the Taskforce’s focus is on reviewing the existing MBS items, with an initial emphasis on ensuring that individual items and usage meet the definition of best practice. Within the Taskforce’s brief there is considerable scope to review and advise on all aspects which would contribute to a modern, transparent and responsive system. This includes not only making recommendations about new items or services being added to the MBS, but also about a MBS structure that could better accommodate changing health service models. The Taskforce has made a conscious decision to be ambitious in its approach and seize this unique opportunity to recommend changes to modernise the MBS on all levels, from the clinical detail of individual items, to administrative rules and mechanisms, to structural, whole-of-MBS issues. Another key project for the Taskforce will be the development of a mechanism for the ongoing review of the MBS once the current Review is concluded.